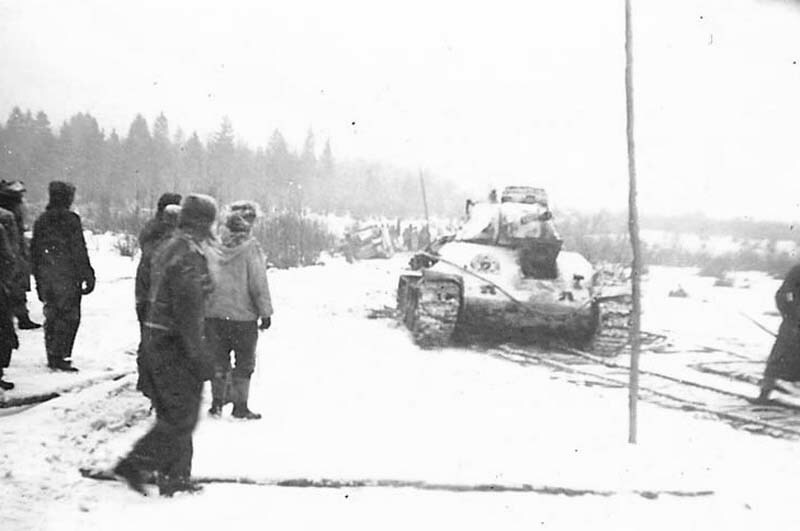 Germans T-34 m 41/42 with commanders cupola in winter camouflage. 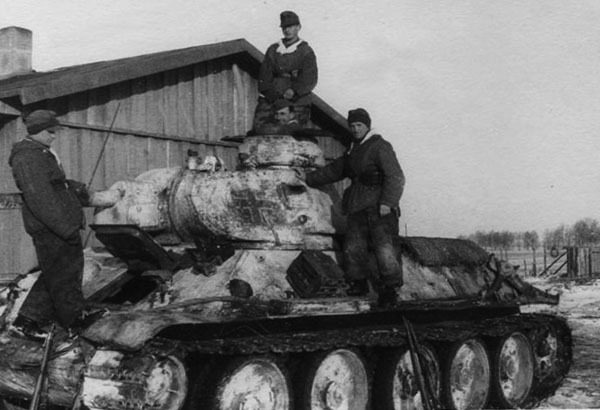 As can be seen cupola displaced on the left turret hatch side. 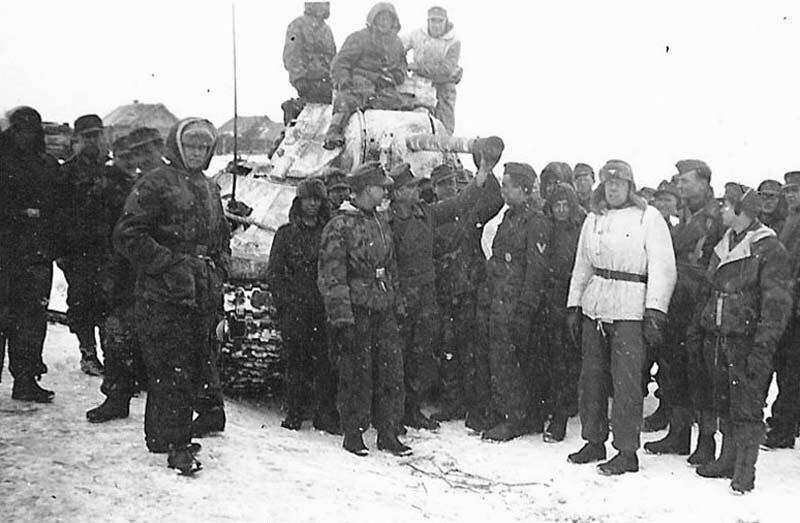 Germans T-34 m 41/42 with commanders cupola in winter camouflage. 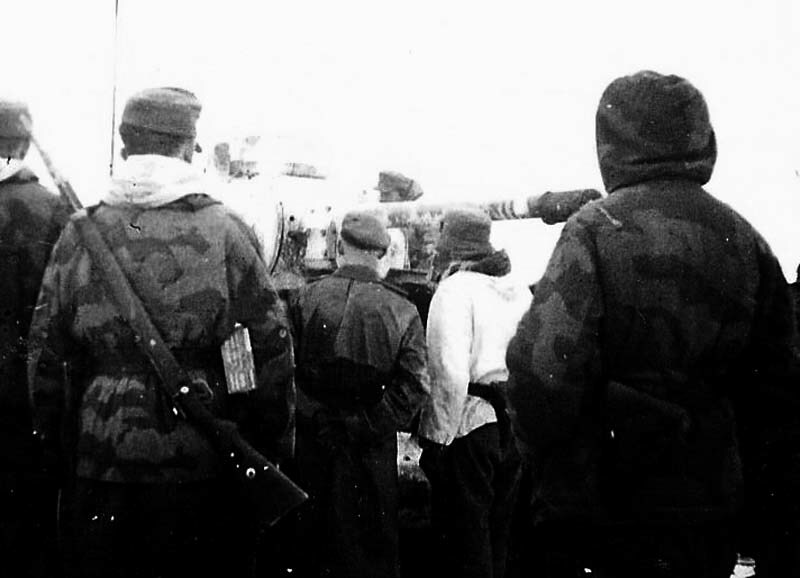 Note a germans type antenna mount. On the gun barrel white stripes - victory marks.